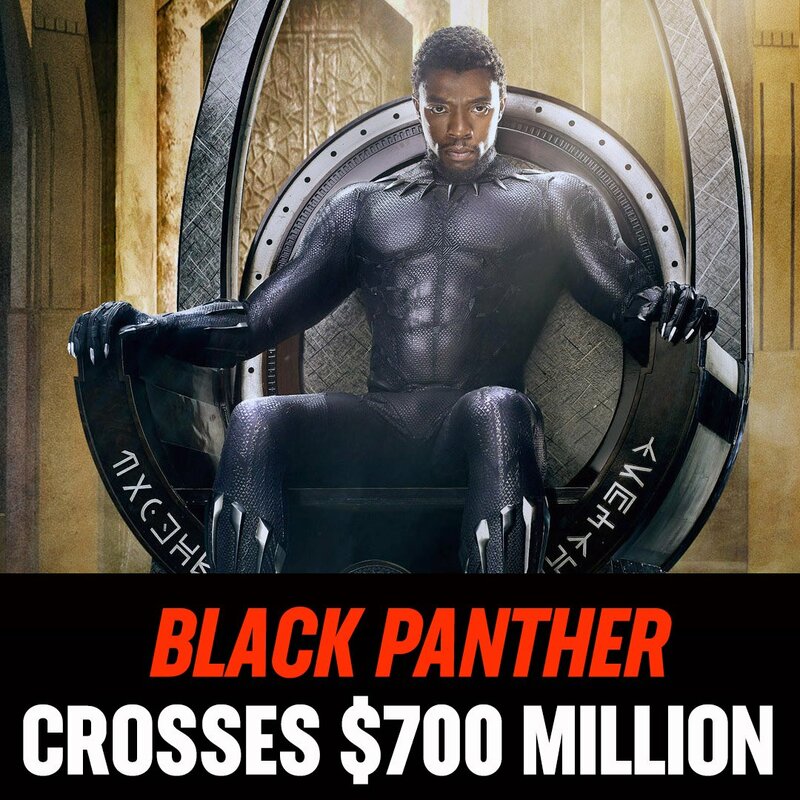 BlackPanther has crossed $700M at the domestic box office! It’s only the third film to hit the milestone joining Avatar ($760M) and Star Wars: The Force Awakens ($936M). As of today, Aug. 5, 2018, the February hit from Marvel Studios has officially crossed the $700 million threshold at the U.S. box office. That’s a huge achievement, one that only three movies in history — the three named above — can claim credit for. Star Wars is the big winner, having amassed an astonishing $936.7 million during its theatrical run in domestic theaters. The considerably older Avatar (it hit theaters in 2009) comes in as a distant #2, with $760.5 million earned domestically. Black Panther now makes it three. Since hitting theaters on Feb. 16, it’s amassed just slightly more than $700 million. It’s over that figure by such a small amount, in fact, that Mashable’s typical practice of rounding box office figures to the nearest hundred thousand dollars doesn’t work. Black Panther‘s current domestic box office total, according to Disney, is $700,004,026. That extra $4,000 is enough to make history. Avengers: Infinity War is also technically still in theaters — 205 of them, per Disney — but it’s likely too far below the $700 million threshold to ever reach it. Infinity War has so far earned $678.1 million at the U.S. box office, having added an estimated $240,000 this weekend. That extra $4,000 is enough to make history. But Infinity War is also out now in digital formats and is coming to home video in less than two weeks. It’s simply not going to have the juice in theaters to join Black Panther in the $700 million club. It’s been a massive year for Marvel. Infinity War represents the beginning of the studio’s efforts to cap off what’s been a 10-year journey so far. Then there’s Ant-Man and the Wasp, a summer blockbuster that arrived only a couple months later — its mixture of comedy and inherent sweetness marks it as a standout in the Marvel library, even if it’s not the most popular movie in the long run. Then there’s Disney’s looming acquisition of Fox’s TV and movie properties, which — among other things — promises to bring the X-Men mutantverse as well as the Fantastic Four into the Marvel movies fold. Still, none of Marvel’s 2018 highlights are bigger and brighter than Black Panther. Directed by Ryan Coogler and starring a predominantly black cast of talents including Chadwick Boseman, Michael B. Jordan, and Letitia Wright (among so many others), the big-budget blockbuster hit tells a story that is rooted in black identity. Even in the midst of a deeply divisive political landscape and cultural upheavals spotlighted by movements like #MeToo and #TakeAKnee, there’s clearly a hunger among wide audiences for mainstream stories told from non-white perspectives. There’s still a long way to go on that count, but Black Panther delivered a big step forward for broader representation. It’s a fantastic movie unto itself, and it deserves every bit of critical and commercial acclaim it’s received. But it’s hard to look at Black Panther without considering the deeper implications of its for-all-audiences appeal.